Inside view of our ring #3. This is a small size closed back stone ring. 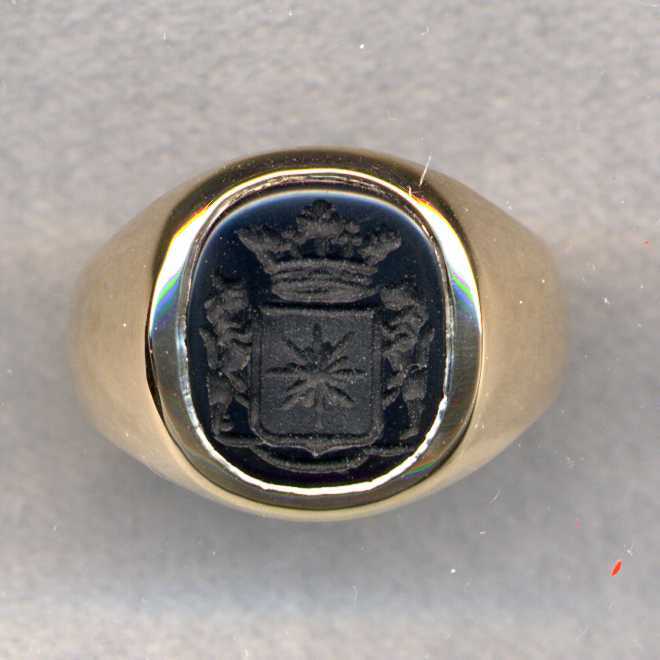 In our opinion it is suitable for sizes 7 thru 9, or as a pinky ring, although this is a matter of personal taste. 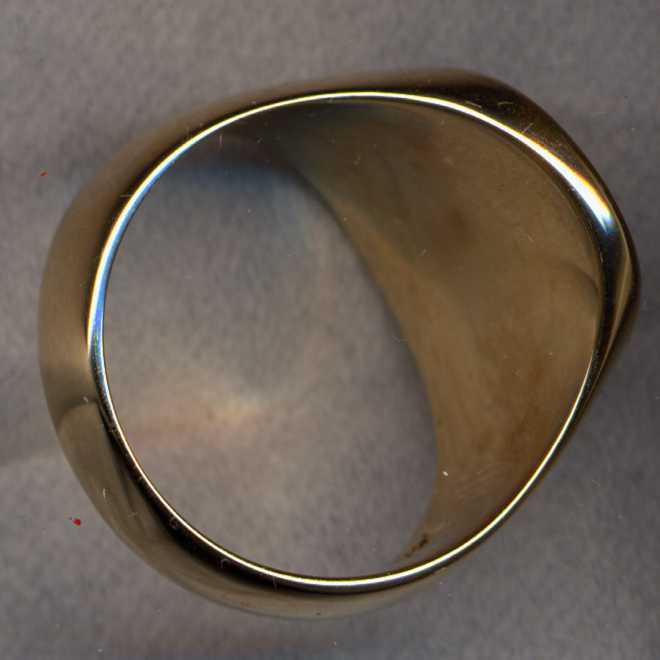 It could also be used as a ladies ring for finger sizes 7 or larger.